Apple has been sued by owners of iPhone 6 and iPhone 6 Plus smartphones who say a design defect causes the phones’ touchscreens to become unresponsive, making them unusable. According to a proposed nationwide class-action lawsuit filed on Saturday, Apple has long been aware of the defect, which often surfaces after a flickering gray bar appears atop the touchscreens, but has refused to fix it. Problems with iPhone 6 touchscreens were described online last week by iFixit, which labeled the issue “Touch Disease”. That company sells repair parts and has previously analyzed other Apple products. 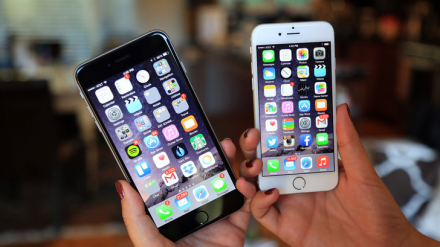 Apple, based in Cupertino, California, sold 166.4 million iPhones, generating $108.5 billion (roughly Rs. 728,089 crores) of net sales, in the first nine months of its current fiscal year. The case is Davidson et al v. Apple Inc, U.S. District Court, Northern District of California, No. 16-04942.